Ashbee Design: Hints for Holiday Entertaining • Balloons? My house is holiday central, has been for years. That means lots of entertaining - super sized. Thanksgiving is behind us (twenty-one for dinner and house guests for 7 days) and we are all well into the beginning of the next holiday season be it Christmas or Hanukah or some other celebration. In our home it gets even a little more hectic because my birthday is during the Thanksgiving time frame and my daughter's is the day after Christmas. We celebrate, celebrate, any then celebrate again. I have developed some "routines" that help keep my sanity during these times. I expect others could uses some of these techniques as well. So, today I start a short series on Hints for Holiday Entertaining. My first hint involves balloons - cut up balloons that is. We had six house guests staying with us during the Thanksgiving holiday, three for seven days and three more for four days. I have learned that with a crew that size, we go through tons of glassware during a day. Often the glasses got scattered around the house but it seems like I was always washing glasses because the cupboard was bare. Several years ago I started the balloon trick. I had a package of balloons in assorted colors. These were the medium 11" balloons. I cut a band from the center of each ballon. 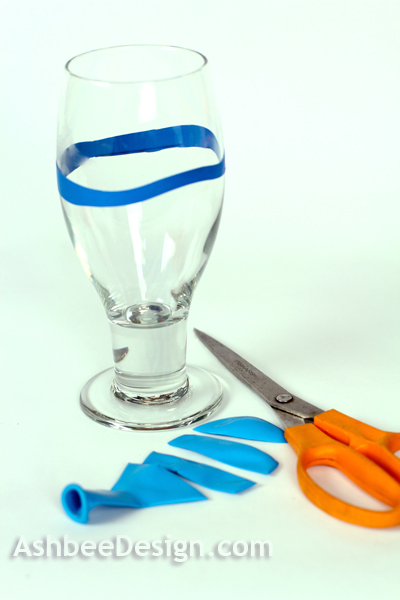 Each family member choose a color and placed the balloon band over their glass. That glass became their glass for the day. It could be washed with the band on it, even put in the dishwasher. But at anytime each person wanted a drink, they had to locate their glass. Glasses stopped collecting in the upstairs bedrooms or the sunroom. And instead of 6-8 glasses per day per person, we reduced it to 1-2. One chore greatly reduced. The kids (Kids? Right! The youngest is 30.) 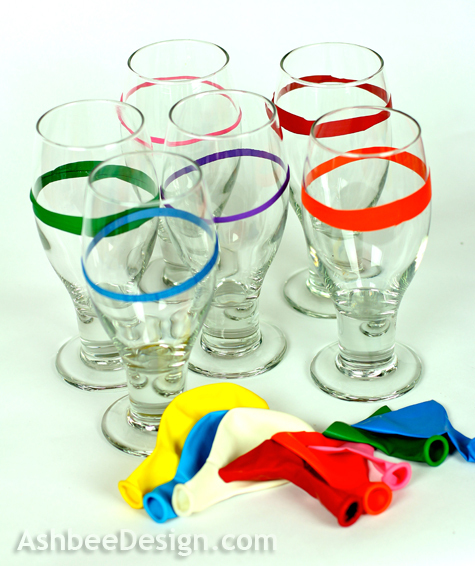 automatically go to the balloon drawer upon arrival and choose their color with the first drink they pour. When the grand generation migrates out of bottles and sippy cups I'll buy the pastel package as well as the classic colors to expand the choices. This is a simple solution that helps with the sanity. Try it! 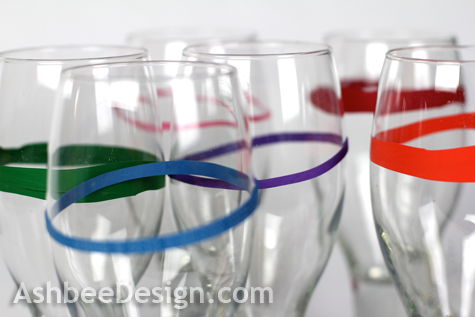 What a wonderful idea....so much more fun and bright than names written over the cups. The kids relate to it! This is so smart! And so simple, and you say I can wash them with the balloons on. This I must try. Thanks for sharing.